An applicant for a job when asked if he always told the truth, replied ‘yes but I am not fanatical about it’. Last week the Constitutional Court handed down its judgment in September v CMI Business Enterprise CC . In effect the majority, as opposed to the DCJ, held that every unfair dismissal must be referred to conciliation, but that did not mean the court had to be fanatical about it. The majority applied the spirit of the law as opposed to the formalistic letter of the law. The landmark judgment also has worrying implications for mediators, including privilege and confidentiality. When can judicial notice be taken of what was disclosed by a party? Hopefully it will be treated as a case of ‘hard cases making bad law’ as suggested by Raymond Zondo DCJ in his strong dissenting judgment. Just and fair outcomes in the workplace will be achieved when senior managers, the legal profession and mediators accept the notion of win-win (integrative) outcomes and not zero-sum (distributive) outcomes. In other words a situation in which everyone wins. We are still living in the past by adopting a win-lose outcome. As from April 1, 2015 the CCMA introduced new ‘Guidelines on Misconduct Arbitration’. Section 74(2) of the BCEA (Basic Conditions of Employment Act) confers the necessary jurisdiction on CCMA commissioners to resolve valid claims for amounts owing by employers in terms of the BCEA including, but not limited to, claims for commission, unpaid salary or wages, overtime or leave pay. From about 1984 I have provided resource material in the form of industrial court judgments and later judgments of all the courts concerning the World of Work. It developed into a website in about 2002 and is called GilesFiles. Currently there are over 6,000 users with over 12,000 views per month. Due to increasing costs it is now a subscription service but many of the earlier posts are freely open to everyone. I sincerely believe that it provides an invaluable resource for mediators to know and understand the latest law as interpreted by the courts. Mediators must not fall into the trap of becoming ‘negotiators’ and simply conveying offers back and forth. Charles Nupen told us many years ago about how a mediator solved a family dispute over 17 camels that belonged a person who died and had three children. The will provided that the ‘assets’ be split 1/2, 1/3 and 1/9. That was not going to work and the children would not compromise. The mediator ‘donated’ a camel and divided the 18 camels up as follows: 9, 6 and 2 = 17. So a solution was found and the mediator’s camel went home again. That is what is called a ‘place holder’. Another example would be a dispute over extra public holidays. The solution was to allow employees to take an extra holiday on their birthdays and so the business was not disrupted and closed for a whole extra day. Probably the most important attribute of mediators is to instill trust and confidence by the respective parties. Ensure that there is no suggestion of favouring one side. Everything told to mediators must be in complete confidence. Do not disclose anything told to you in confidence without the prior consent or permission of the party who disclosed it. With that confidential and privileged information mediators are in the unique situation of being able to assess the chances of finding an acceptable solution. One of the techniques is to use ‘supposals’. Say to one party ‘suppose the other party is prepared to do the following what would your response be?’ Only when there is complete certainty that there are no loose ends should an attempt be made to bring the parties together and sign an agreement. Very often mediators meet with the parties separately to receive completely confidential information that will assist the mediator in finding a solution and not just solving the problem. This sometimes happens during toilet breaks! 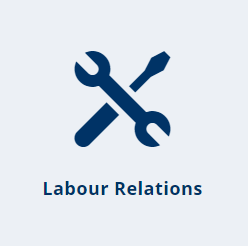 Because of the reciprocal nature of the employment relationship mediators are able to assess the rights and obligations of the parties and achieve a win-win outcome. It is astonishing that after 40 years there is still a complete lack of understanding about the true nature of the termination of employment. Not only the common law but also the BCEA (Basic Conditions of Employment Act) and the LRA (Labour Relations Act) have to be complied with in all circumstances. proving a valid an fair reason for dismissal. So the reason will be valid if it relates to conduct or capacity or is based on the employer’s ‘operational requirements’. ‘confidence’ has been lost by the employee’s inability to do the work by the unacceptable performance, ill health or injury. The LAC (Labour Appeal Court) has clearly stated that to be valid and fair the reason could be related to or based on any one or more of the three examples and that management may follow a procedure that is most favourable to the employee. In other words the meaningful joint-consensus-seeking process in s 189 of the LRA is what is recommended except where there has been gross misconduct. So neither the ILO (International Labour Organisation) Convention of 1982 nor the LRA require managers to prove any degree of fault as the reason to dismiss. The reason will be valid provided it relates to conduct or capability or is based on operational requirements. Apart from dismissals based on ‘operational reasons’, a fair reason to dismiss depends entirely on the adverse effect the conduct or capability has on the trust or confidence relationship. A glaring omission in the LRA, if the reason for dismissal is related to conduct or capability, is the forfeiture by dismissed employees of any legal right to severance benefits. The ILO Convention provides that dismissed employees only forfeit their right to severance benefits when the legitimate reason for dismissal is related to gross misconduct, such as theft or assault or blatant dishonesty. In other words employees only forfeit their statutory right to reasonable notice and severance pay if their behaviour is gross and materially breaches the employment contract. Why has South Africa still not ratified the 1982 ILO Convention? what would be reasonable notice, unless the employee has forfeited that right by behaving so badly that it should be regarded as gross misconduct and a material breach of contract. As already explained the reciprocal nature of the employment relationship, that fact that it is really a dispute of right and not interest and the need to adopt a holistic approach provides ample scope for mediators to assist the parties in the field of employment law. With regard to collective bargaining there are clearly disputes of interest and there is a need to balance the interests. This is a tricky area for mediators but it is possible to consider suggesting one-off benefits rather than adjusting the fixed costs upwards. So a gift voucher instead of an ‘increase’ in wages may be more appropriate. It can be argued that managers owe their employees a ‘duty of care’ and to pay them more than they are actually ‘worth’ to the business is doing them a distinct disservice if they have to be dismissed and then cannot find another job in the market at a similar wage rate. Another innovation introduced by Chris Albertyn many years ago was ‘ArbMed’. The parties agree in advance, or even during the proceedings, that the arbiter will seal the award and then mediate the issues in the hope of assisting the parties to reach an acceptable outcome, failing which the award will be unsealed. It often happens that it is only during the arbitration that all the parties find out all the facts and then seek to achieve their own outcome. Think in terms of job-grading and developing the necessary framework of seven ‘decision-making levels’ required by the Employment Equity Act. o even black trade unions could register, but with a government that still discriminated outside the workplace. Management refused to recognise black trade unions that were unregistered. In about 1981 the Ford Foundation came to the rescue with plans and funding. Loot Douwes-Dekker at the WBS (Wits Business School) and Theo Heffer, amongst others, piloted a scheme to introduce workplace mediation. mediators from the FMCS (Federal Mediation & Conciliation Service) in the USA and ACAS (Advisory, Conciliation and Arbitration Service) in the UK conducted training courses and workshops in 1981. I was fortunate enough to be trained in 1981 with now President Cyril Ramaphosa. He impressed all of us enormously with his humour, patience, knowledge and wisdom [by the way you may know that a tomato is a fruit, but it would be unwise to serve it in a fruit-salad). I was part of a small steering committee that was formed and we met regularly at WBS. the late Raymond Tucker registered IMSSA (Independent Mediation Service of SA) in about 1983 and a Board of Trustees was elected and the training of mediators began in earnest. former Constitutional Court justice Kate O’Regan was one of the first to be trained and played a significant role thereafter in the affairs of IMSSA. Dren Nupen and Bontle Mpakanyane were the driving forces behind IMSSA in the early days and it went from strength to strength. both parties to a dispute had to agree to submit the dispute to voluntary mediation and could even select the mediator from the IMSSA’s panel of trained mediators. this contrasts with the compulsory nature of the CCMA (Commission for Conciliation, Mediation and Arbitration) where only employees can refer disputes. But nothing prevents employers and trade unions from agreeing to private mediation and even arbitration and many employers prefer this private system to the public service option of the CCMA. And so as a nation ‘white’ managers were ‘compelled’ to ‘negotiate’ with ‘black’ trade union leaders and IMSSA played a pivotal role in ensuring that it happened in a constructive and effective manner. Where would we be today without that inspired and crucial intervention almost exactly 40 years ago?